The defeat of Muslims at Mootah gave the Quraysh the impression that Muslim power had crumbled and this made the Quraysh incline strongly to the conditions prevalent before the Treaty of Hudaybiyya. They thought that they could now launch a war against which the Muslims were incapable of defending themselves. The Treaty of Hudaybiyya prescribed that any non­-Meccans wishing to join the camp of Muhammad or that of the Quraysh may do so without obstruction. On the basis of this provision, the tribe of Khuza'ah joined the ranks of Muhammad, and that of Banu Bakr joined the Quraysh. Between Khuzaah and Banu Bakr a number of old unsettled disputes had to be suspended on account of the new arrangement. In Rajab of the year 8 (November 629), eighteen months after the Treaty of Hudaybiyya had been signed, a band of the warriors of Banu Bakr suddenly and without any provocation attacked Banu Khuza'ah in their homes at night. One man was killed and the rest badly mauled and forced to flee into the sacred territory of Mecca. Pursued even there they took refuge in two friendly houses. Shamefully the Banu Bakr laid siege to the houses. In all twenty people of the Khuza'a were slain. Tabari, the historian, says that Ikrima bin Abu Jahl, Safwan bin Umayya and Suhayl bin Amr, all leading figures of Quraysh, disguised themselves and fought at the side of Banu Bakr against the Khozaa. Of these three, the last named was the chief signatory of the Quraysh to the Treaty of Hudaybiyya. ● They should declare the Treaty of Hudaybiyya to be void. Qurtaba bin Umar replied for the Quraysh and said to the envoy of the Prophet that only the last of the three terms was acceptable to them. But very soon they realized that they made a blunder and decided to act immediately to avert disaster. They decided to send Abu Sufyan to Medina to persuade the Prophet to renew the Treaty of Hudaybiyya. When Abu Sufyan arrived in Medina, he first went to see his daughter, Umm Habiba – one of the wives of the Prophet. As he was going to sit on a rug, she pulled it from under him, and said: "You are an unclean idolater, and I cannot allow you to sit on the rug of the Messenger of Allah." Shaken by such a reception, he left her, and went to the mosque hoping to see the Prophet himself. But the latter did not give him audience. He then begged the aid of Abu Bakr, Umar and Ali but all of them told him that they could not help him, and he returned to Mecca empty-handed. The Quraysh had broken the pledge, and the envoys of Khuza'ah were still in Medina, demanding justice. If the Prophet had condoned the crime of the Quraysh, he would have seriously compromised his own position in the sight of all Arabs. Eventually, the Prophet decided to capture Mecca. The army of Islam left Medina on the 10th of Ramadan of 8 A.H. (February 1, 630). The news that an army was marching southwards, spread rapidly, and even reached Mecca itself. Those members of the clan of Banu Hashim who were still in Mecca, left the city and joined the advancing army. Among them were Abbas bin Abdul Muttalib, the uncle of the Prophet; Aqeel bin Abi Talib, and Abu Sufyan bin al-Harith bin Abdul Muttalib, his cousins. In the afternoon of the 19th of Ramadan, the army arrived in Merr ad-Dharan in the north of Mecca, and halted there to spend the night. At night the Prophet ordered his soldiers to light little fires, and the whole plain lit up with thousands of bonfires. Abu Sufyan and Hakim bin Hizam left Mecca to investigate the reports of the invasion by the Muslims. When they arrived in Merr ad-Dharan, they were astonished to see countless little fires burning in the valley and got anxious for the safety of Meccans. Abbas bin Abdul Muttalib also had great anxiety for the safety of the Meccans and thought they would be massacred. He was riding the white mule of the Prophet through the camp, when he suddenly met Abu Sufyan and Hakim bin Hizam. Abbas told him that he would take him to the Prophet, and would try to get safe-passage for him. Abbas and Abu Sufyan rode through the Muslim camp and as they rode past the tent of Umar, he recognized Abu Sufyan, and said to him: "O enemy of God, at last you are in my power, and now I am going to kill you." But Abbas told him that Abu Sufyan was under his protection. Umar rushed to see the Prophet for his permission to kill him, but the Prophet told Abbas to bring him the following morning. Early next morning, Abbas, Abu Sufyan and Umar appeared before the Prophet. Muhammad invited the Abu Sufyan to accept Islam. He was not ready to accept Islam but Abbas told him that if he didn't, then Umar would kill him. Faced by the specter of death, Abu Sufyan declared the Shahadah which formally admitted him to the community of the Muslims. Abbas also requested the Prophet to grant Abu Sufyan some favor. The Prophet said that all those Meccans who would enter Abu Sufyan's house, or would stay in their own houses, or would enter the precincts of the Kaaba, would be safe from all harm. On Friday, Ramadan 20, 8 A.H. the army of Islam left Merr ad-Dharan, and marched toward Mecca. Abbas and Abu Sufyan stood to watch the squadrons march past them. Abu Sufyan, much impressed by the order, the discipline and the numbers, said to Abbas: "Your nephew has truly won a great kingdom and great power." Abbas snapped: "Woe to you! This is prophethood and not a kingdom." Abu Sufyan realized that the game for him and the idolaters was over at last, and the only important thing now was to save his and their lives. Abu Sufyan rushed back to Mecca, and entering the precincts of the Kaaba, called out aloud: "O Meccans! Muhammad has arrived with his army, and you have no power to oppose him. Now only your unconditional surrender can save you from massacre." Abu Sufyan's wife, Hinda, heard his call. She flew into a most violent rage, stormed out of her house, seized him by his beard, and screamed: "O Meccans! Kill this unlucky idiot. Get rid of him and defend your city from your enemy." Abu Sufyan, now surrounded by other citizens of Mecca said "All those people who stay in their own houses or enter the precincts of the Kaaba, would also be safe." This ordinance meant that all that the idolaters would have to do to save their lives, would be to stay indoors, and to refrain from challenging the invaders. Muhammad, the Messenger of Allah, reciting the chapter from Qur’an called "The Victory," entered Mecca from the north. Usama, the son of his friend and the martyr of Mootah, Zayd bin Haritha, was riding with him. Ali carried the banner of Islam as he rode at the head of the cavalry. Zubayr bin al-Awwam entered the city from the west, and Khalid bin al-Walid from the south. Muhammad gave strict orders to his army not to kill anyone except in self-defense. The Muslim occupation of Mecca was virtually bloodless. The fiery Khalid bin Waleed killed a few people at the southern gate and was sharply reprimanded by Muhammad for doing so. The largest idol was that of Hubal, the dynastic god of the clan of Banu Umayya. Hubal was mounted on a high pedestal, and the Prophet could not reach it. He ordered Ali to climb on his shoulders and to knock it down. Ali mounted the shoulders of the Apostle, and knocked down the idol. He thus removed the impurity of idolatry from the Kaaba for all time. With that tremendous stroke, Ali put an end forever to idolatry in the Kaaba! Muhammad, the Messenger of Allah, then ordered Bilal to call out Adhan. The Prophet then made the seven circuits of the Kaaba, and offered prayer of thanksgiving to his Creator. The Quraysh had gathered in the court of the Kaaba awaiting the Prophet's verdict on their fate. The Prophet addressed them: "There is no god but Allah. He is One and all Alone, and He has no partners. All praise and thanks to Him. He has fulfilled His promise. He has helped His slave to victory, and He has dispersed the gangs of his enemies." ‘O people! Listen to me. All the arrogance, the distinctions, the pride, and all the claims of blood of the Times of Ignorance are under my feet today. ‘O Quraysh! Allah has destroyed the arrogance of the Times of Ignorance, and He has destroyed the pride of race. All men are the children of Adam, and Adam was a handful of dust." This verse is the high watermark of the equality and brotherhood of all men in Islam. There is no distinction between men on the grounds of race, color, nationality, family or wealth. There is only one distinction- that of faith and character. Muhammad then asked the Quraysh: "How do you think, I am going to treat you now?" They said: "You are a generous brother, and the son of a generous brother. We expect only charity and forgiveness from you." He said: "I will tell you what Joseph said to his brothers, 'there is no blame on you today.' (Qur’an. Chapter 12; verse 92). Go now; all of you are my freedmen." The Prophet declared a general amnesty in Mecca. The amnesty extended even to the apostates. He forbade his army to plunder the city or to seize anything that belonged to the Quraysh. Quraysh had left nothing undone to compass his destruction, and the destruction of Islam; but in his hour of triumph, he condoned all their crimes and transgressions. From the Kaaba, the Prophet went to Mount Safa, and the people of Mecca came to acknowledge him as their sovereign in his dual character – as Messenger of God, and as their temporal ruler. All men gave the pledge of their loyalty to Muhammad by placing their hands on his hand. Next came the turn of women to take the oath of loyalty. But he did not want to touch the hand of any woman who was not his wife and therefore, ordered Umar bin al-Khattab to accept the pledge of women on his behalf. The Conversion of Quraysh: Was it Real? 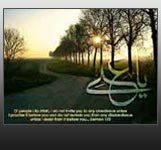 The Quraysh had carried on a long and bitter struggle against Islam for twenty years but many among them now accepted Islam either due to true belief In Islam or due to the fact that they had very little to choose from. All members of the clan of Banu Umayya, including Hinda, the wife of Abu Sufyan and the cannibal of Uhud, also accepted Islam. Here we pause to reflect on the acceptance of Islam by the Banu Umayya. For twenty years, Banu Umayya had spearheaded the opposition to Islam. It is difficult to digest that one demonstration of military might by Muhammad convinced them that he was the true messenger of God, especially at a time when Islam deprived them not only of the idols they worshipped but also of their prestige, privileges, status and power. They had, therefore, the same state of mind that every defeated nation has. Their hearts were full of hatred, rancor and vindictiveness against the guardians of Islam. Their conversion made them much more dangerous than before and they waited for an opportunity to resurface when they would destroy Islam and change its distinguishing characteristics by restoring as many institutions of the Times of Ignorance as possible. The Banu Umayya could not subvert Islam in the lifetime of Muhammad, the Messenger of God, because he took effective safeguards against the recrudescence of paganism. He also took care not to give them any positions of authority which they might misuse. If the Banu Umayya had the abilities attributed to them, why they didn't put them to use in their bitter war against Muhammad and Islam, and why were they defeated? He was not impressed by their "abilities" before or after their acceptance of Islam, and he did not appoint any of them as a general or an administrator or a judge or anything. The statement quoted above, would, in effect, be true, if it is modified to read that it was not Muhammad but Abu Bakr and Umar who needed the experience and the expertise of the Banu Umayya, and it were both of them who could not administer the new state without their support. The Banu Umayya were indispensable for Abu Bakr and Umar. Some Sunni historians have pointed out that the Prophet appointed Muawiya, the son of Abu Sufyan and Hinda, his scribe to record the Qur’anic verses. Muawiya may have written down some verses of Qur’an but it does not mean that they could not be recorded without him. In the first place, when Muawiya became a Muslim, most of the Qur’an had already been revealed. In the second place, he was only one out of a multitude of scribes. The historians have preserved the names of 29 scribes of the Prophet. Muhammad resided in Mecca fifteen days during which he organized its affairs and instructed its people in Islam. During this period, he sent forth delegations to call men peacefully to Islam to destroy the idols without shedding any blood. Khalid ibn al-Walid was sent to Nakhlah to destroy al-Uzza, goddess of Banu Shayban. Then Khalid proceeded to Jadhimah. There, however, the people took up arms at his approach. Khalid asked them to lay down their arms on the grounds that all people had accepted Islam. One of the Jadhimah tribesmen said to his people: "Don't you know that this is Khalid? By God, nothing awaits you once you have laid down your arms except captivity and death." Some of his people answered: "Do you seek to have us all murdered? Don't you know that most men have converted to Islam, that the war is over, and that security is reestablished?" So they surrendered their arms and then Khalid ordered them to be bound, and he killed some of them. By a tragic coincidence, these Bani Jadhimah had killed Khalid's uncle many years before, when he was returning from Yemen. The Apostle had told him to avoid bloodshed. But when he reached Bani Jadhimah, Khalid did exactly opposite to the Prophets' order and avenged the murder of his uncle. Muhammad was genuinely horrified when he heard of Khalid's action. Standing in the courtyard of Kaaba, he raised his hands above his head and cried aloud: "O God! I am innocent before Thee of what Khalid has done." Ali was sent immediately with a large sum of cash to pay blood-money for all who had been killed, and generous compensation for any losses of property. It was a mission congenial with Ali's nature, and he executed it faithfully. Inquiring into the losses and sufferings of each individual, he paid him to his full content. When every loss was made good, and all blood atoned for, he distributed the remaining money among the people, gladdening every heart by his bounty. So Ali received the thanks and praises of the Prophet, but the vindictive Khalid was rebuked even by those whom he had tried to please. "Behold!" said he to Abdur Rahman, "I have avenged the death of your father." "Rather say," replied the other indignantly, "you have avenged the death of your uncle and disgraced the faith by an act worthy of an idolater." The Banu Jadhima were bitterly hurt by Khalid. The Prophet wanted not only to comfort them and to rehabilitate them but also to win back their confidence and love. It was a most difficult and delicate task, and he chose Ali to carry it out. Khalid had tarnished the image of Islam, and the Prophet knew that no one among his companions except Ali had the ability to restore to it its pristine sheen. He won over the Banu Jadhimah with his sincerity, his generosity, his friendliness, and his genuine feeling for their happiness and welfare. With his quality of eloquence, Ali recaptured the hearts of Banu Jadhima for his master, Muhammad, and for Islam.